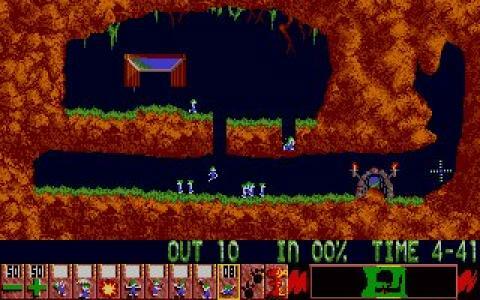 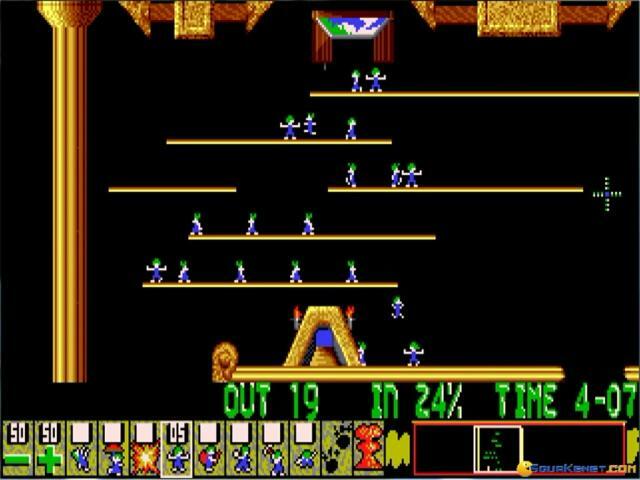 Lemmings is a game so simple and fun that it has created an empire which lasted up to few years ago. 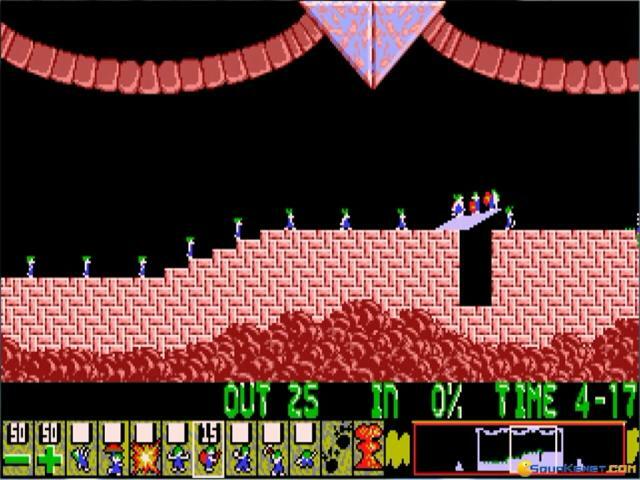 The looks and designed of the Lemmings have become a trademark and so popular that people remember them instantly even now, 20 years from now. 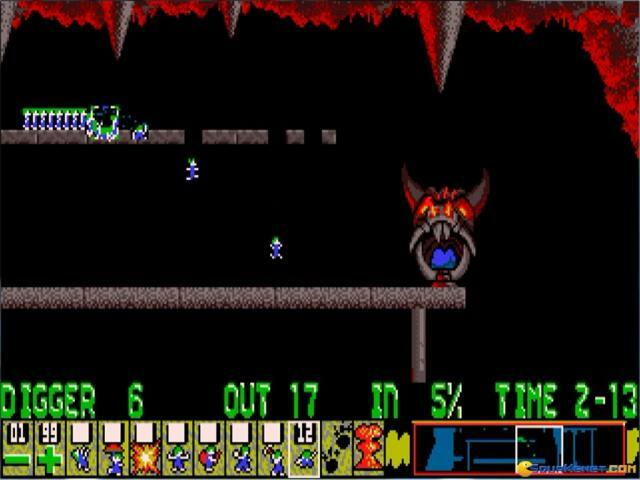 The game is very simple - you control a heard of Lemmings who move in one direction and don't stop for nothing - traps, pitfalls, spikes of death - nothing. 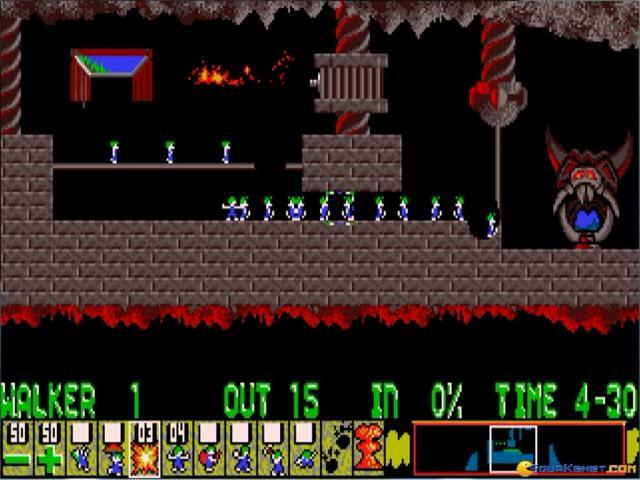 Your job is to help them find their way to the end of the level, guide them to it by means of assigning jobs to certain Lemmings and thus make a safe passage to the end. 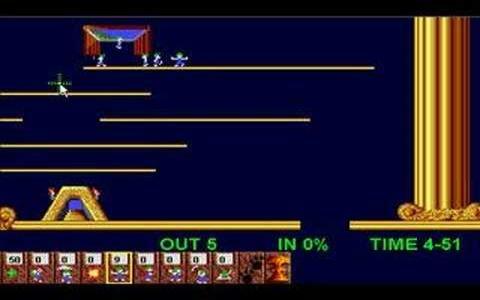 Which skills and how many uses of each are available to the player varies from level to level. 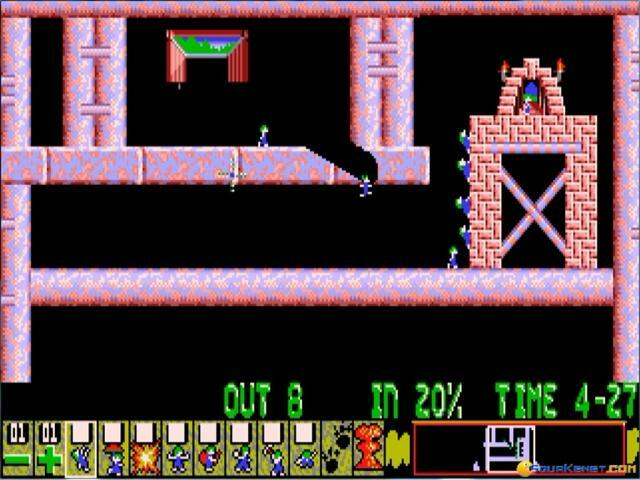 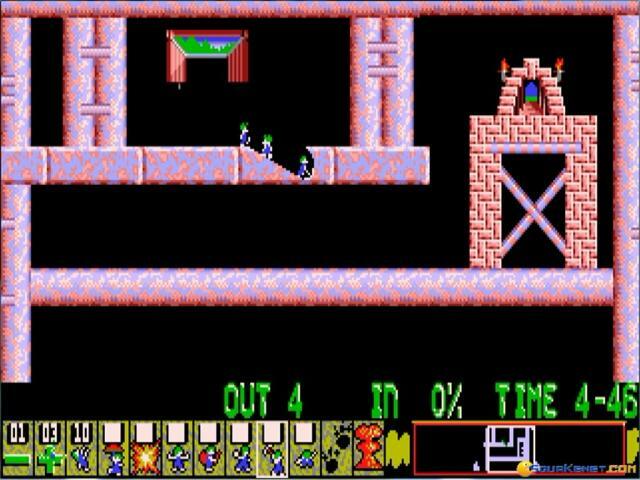 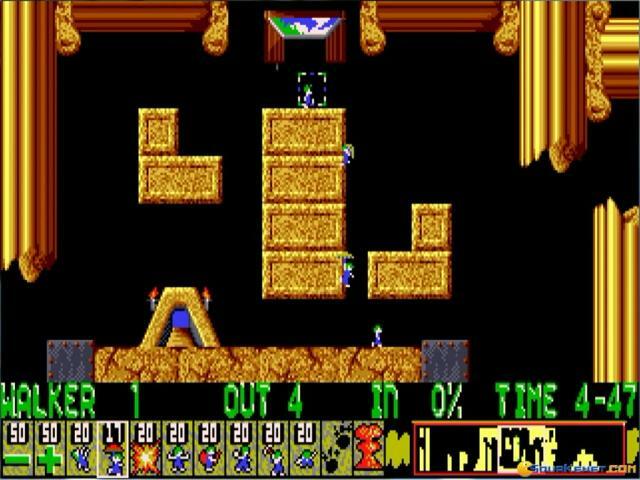 There are various difficulty levels and you can play the game alone or in the 20 two player levels where you have to get more lemmings home than the other person. 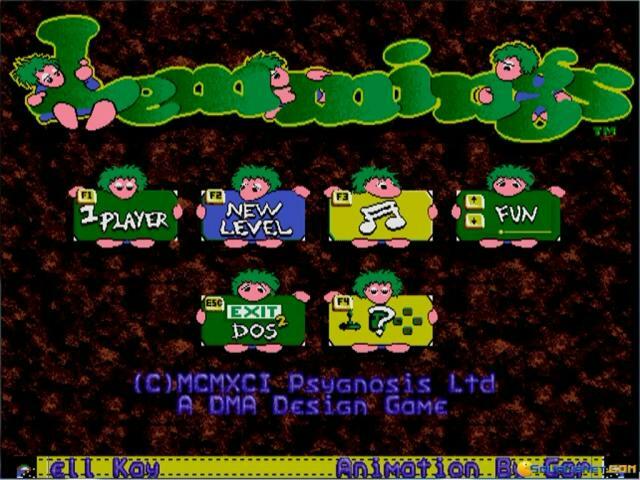 The game has very colorful and rich graphics, but still pretty simple and minimalistic. 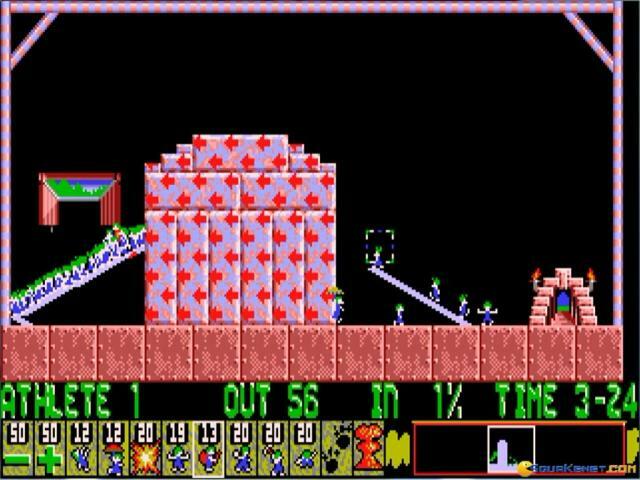 The game is very challenging, because you have to carefully organize your lemmings for them to get home safely. 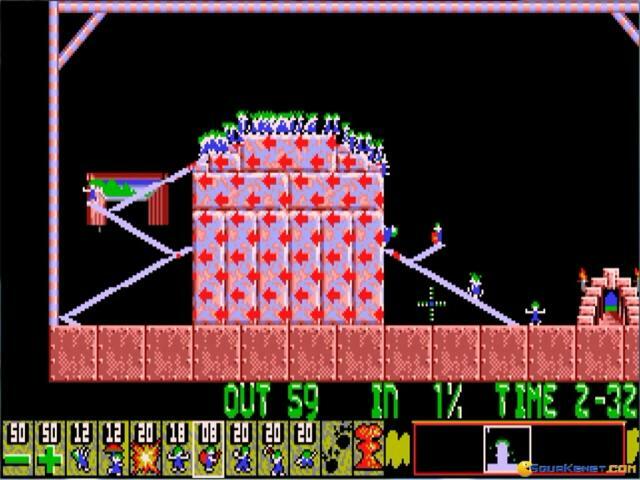 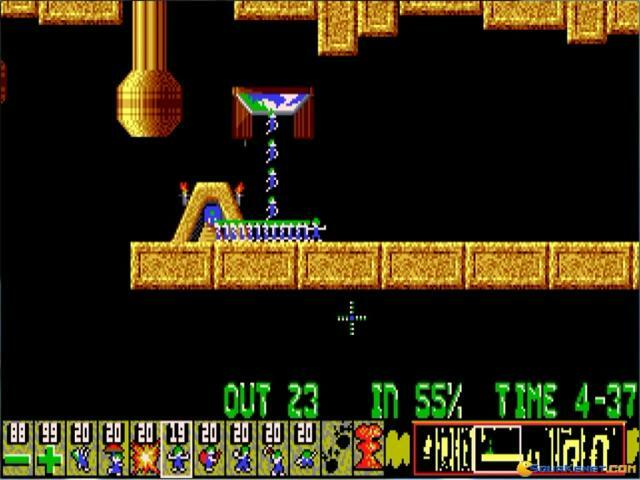 It is also a ton of fun and you can see all kinds of hilarious ways the lemmings can die if you don't do your job right. 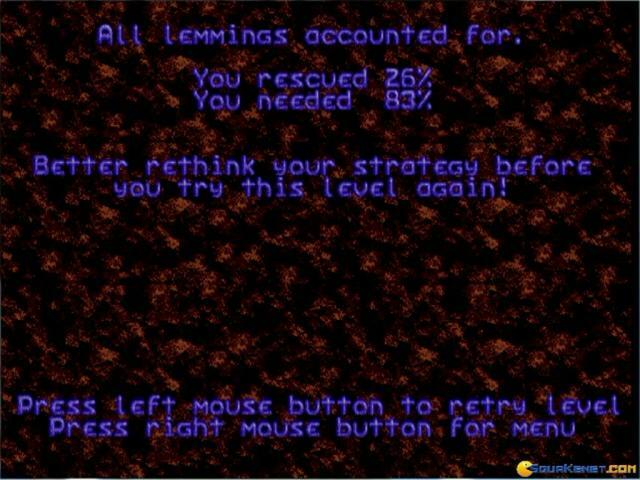 And they are so cute and adorable! 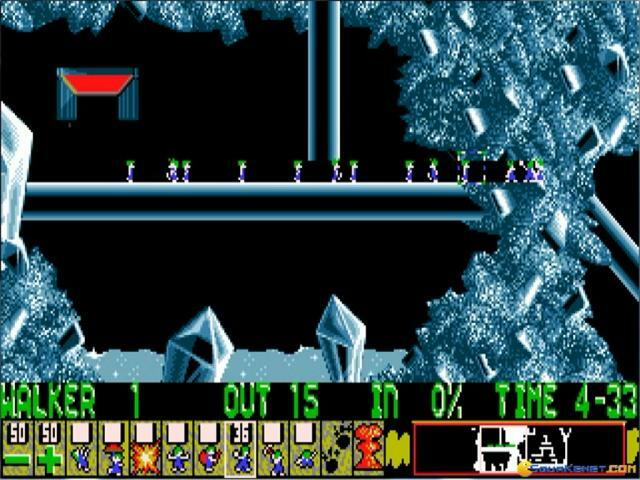 Within minutes, you will feel both connected to the little helpless guys and obligated to help them, and hours will feel like minutes. 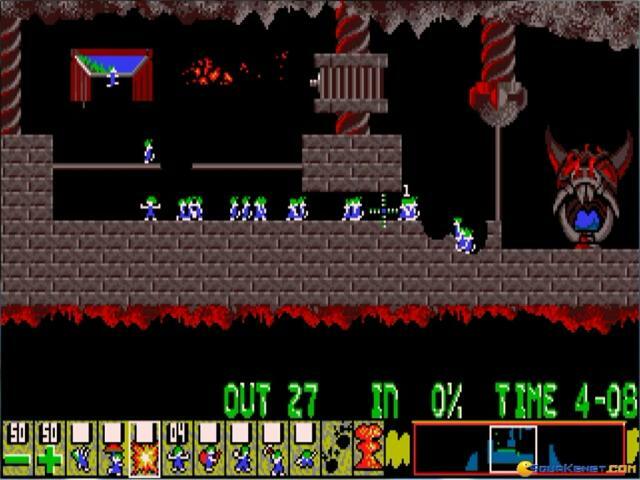 A truy fantastic game, and besides this one, you should check out the other sequels - Lemmings 2, Lemmings 3 and so fourth. 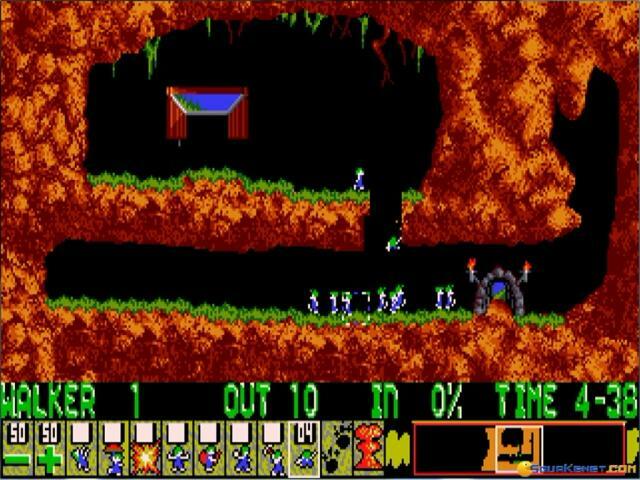 They are little, they wear in blu and have green hair. 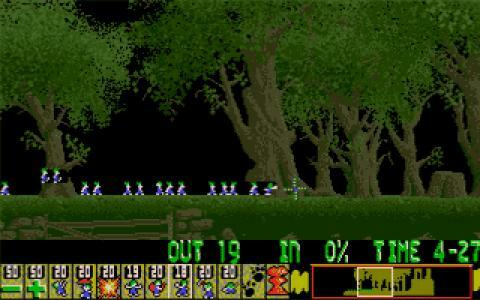 They cannot stay alone, a large team of little workers: they are lemmings! 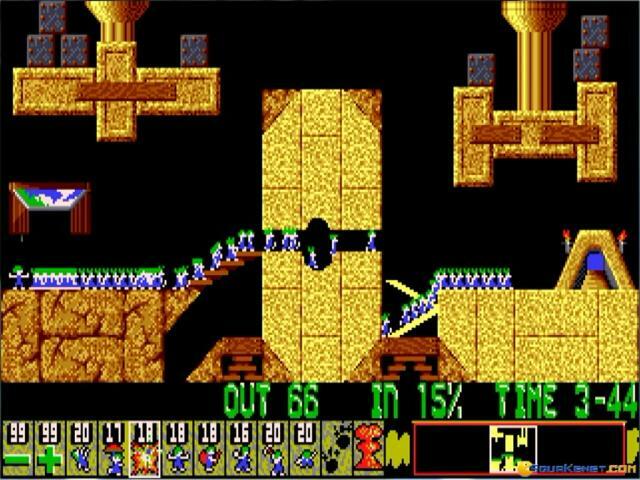 One of the most exciting puzzle game, an old game dated early 90, but still a great puzzle game to play, one of the most original. 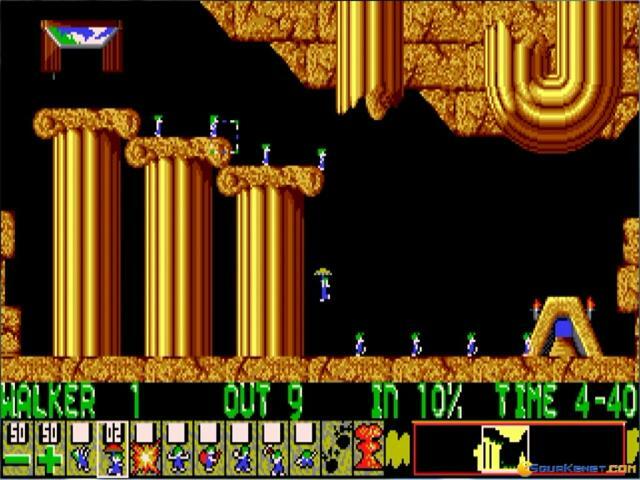 The way of learning how to use these little men makes it ready to play just after download, so, help them to reach their target!